Technology is great but I'm a big advocate for active play. Going outdoors and playing with friends, doing different games and activities, keeps kids full of life. 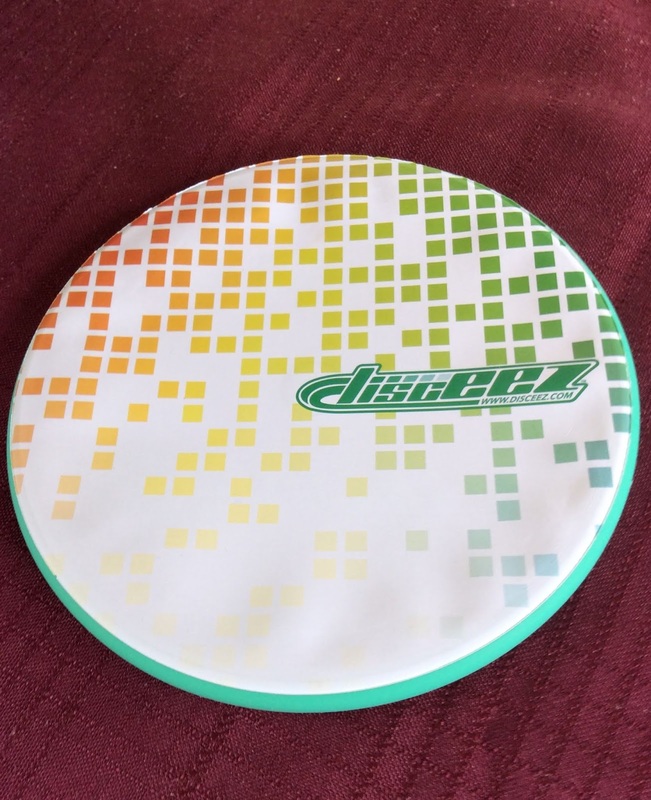 Disceez are a new-ish flying disc that promote active play and the development of hand-eye coordination. Disceez precision flying discs are the ultimate "Thing to Fling". Compact and lightweight, Disceez fly straighter and further than other discs while performing aerial drifts and awesome stunts. 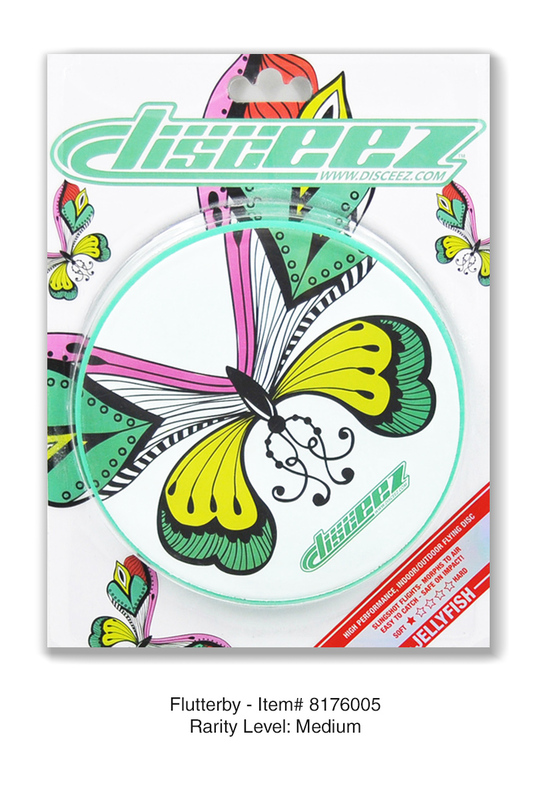 Disceez are easier to fly due to its ultra-light construction, smaller size and more stable flights. They are also easier to catch with a unique soft rubber grip. There are three performance types of Disceez to choose from, and you can see which is which by looking at the package. I received a Disceez in the pixel design and it is the Cuda performance type, made for greater distance. 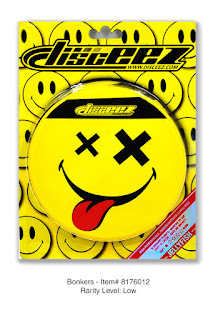 Disceez are not hard or plastic like traditional flying discs. They are made with a light silicone construction. 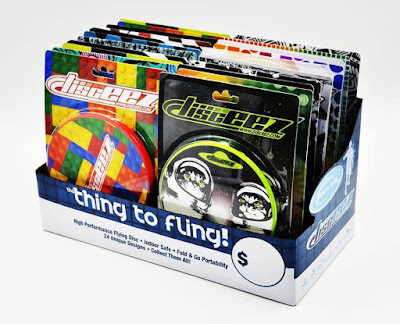 Disceez are very bendable and flexible. Due to their design, Disceez are meant to be easier to throw and catch. Disceez performs equally well indoors as they do outdoor because they are safe on impact. The collapsible core won't damage household objects like traditional flying discs. Logan's been throwing our Disceez both inside and outside, so I can vouch that it won't destroy your things! 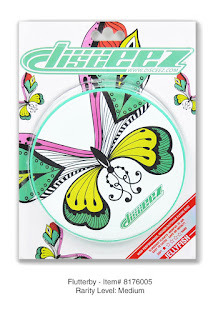 In fact, one might think that Disceez isn't much because it looks like a thin silicone disc with a neat design. There's not a whole lot to it. But, it actually does fly high, fast, far, and mostly accurate! Because of how they're made, Disceez are ultra-portable and flexible. You can fold it up and stash it in your pocket. Right now, there are 24 designs of Disceez. Each design is printed in limited numbers and have a rarity level which is indicated on the package. The Disceez I received has a medium rarity level. An all new series of designs will be introduced in 2019 and the current designs will be discontinued. 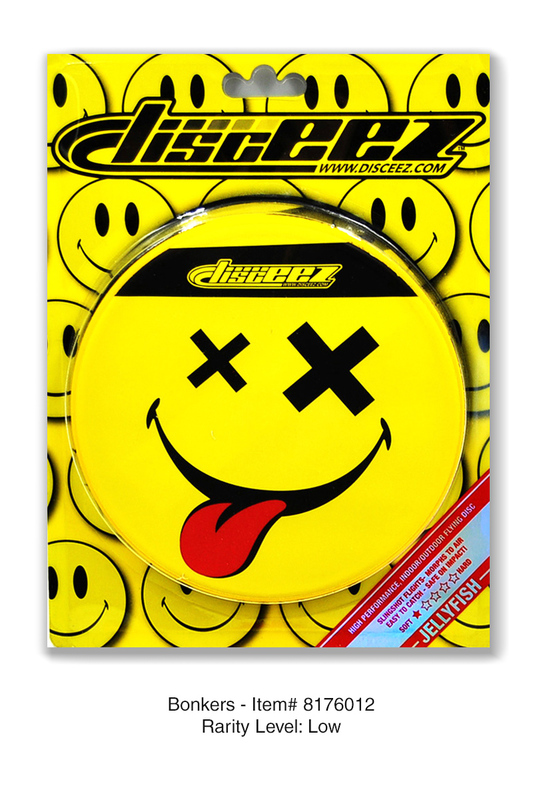 So, if Disceez are something that interest you for a fun game or to collect, be sure to get your desired designs now! 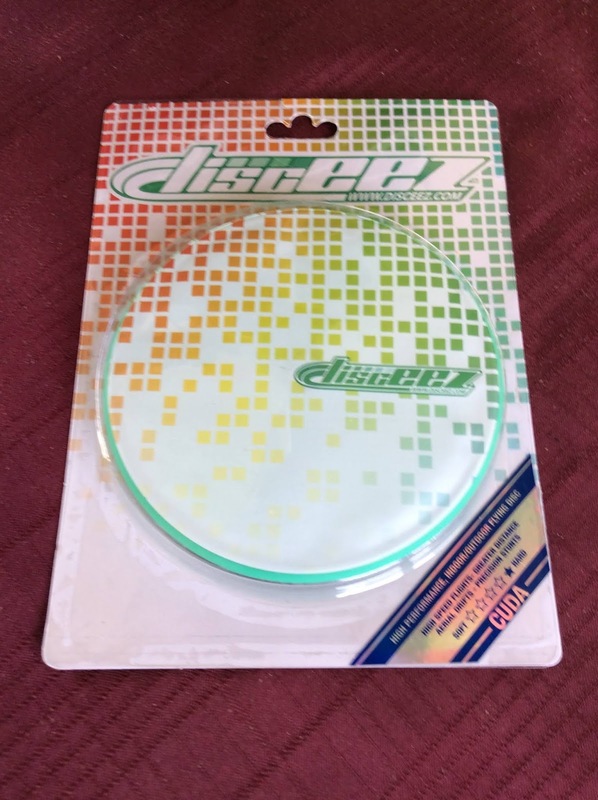 One person will win a Disceez flying disc. I received product for review from Worx Toys. The opinions within this post are of my own and I was not influenced in any way. Please do your own research before purchasing products or using services. Your opinions and results may differ. With some practice, yes. I can throw and catch these disks. I KNOW I am not good at throwing the disk. I send other all over the field to retrieve the disk I throw. I would say I am about average at throwing and catching discs. I am awful at throwing disks so i need to win to practice! I was pretty dang good with a frisbie when I was a kid. I am not very good at flying a frisbee but I like to try. I'm not very good but it's fun. I can catch frisvees but throwint them is terrible for me. I am not so good! I certainly need practice. I would need some practice, but I would be good at throwing/tossing this! Thanks for the chance! I think I am pretty good at throwing a frisbee. I want to try playing disc golf sometime. We play disc golf regularly so I can throw a disc for sure, as for catching.... well not so much! I am not very good at playing with flying discs. I guess I need more practice. I'm not very good at throwing a disc but I can catch them good. I am pretty good with a frisbee. I think that I am pretty decent at throwing and catching a Frisbee. This one looks like fun! I haven't played in a long time but was when I was younger. I use to be good at throwing a Frisbee when I was younger, but it has been a long time since I have done this! I think I need practice. Sure. I'd say I'm about average at throwing and catching frisbees or discs. I wouldn't share the Disceez with my dog though! They're too cute. Human's only! I'm good at catching it. I'm not very good at throwing or catching frisbees, but my son would love it. I think I am good at it for sure. so fun! Throwing, yes. Catching, not so much. I am not the best, but like to go Disk Golfing for fun. I try to throw, ,lol. I am fairly good a frisbee. I think I'm pretty good at catching a frisbee......that is, if the other person threw it to me and not 20 feet away. LOL! I'm ok at catching firsbees, just out of practice! I am not but my kids are. Thank you! This would b fun! I'm terrible at catching because I am nearly blind in one eye and have no depth perception! I like to do tricks with a frisbee and catch them between my legs. I am good at throwing/catching a Frisbee. Cant throw anything straight but would like to try flying disc. I don't think I'm too good, haha! I don't think I am very good at throwing or catching, but it is very fun. Yes I am good at throwing and catching . I am horrible at both catching a Frisbee and throwing one. I try to play Frisbee with my dog and it will often fly right over her head and land on the roof or go out of the yard. It's embarrassing and I feel bad for my dog who just wants to catch it. I haven't played with a frisbee since I was a kid. I am not sure if I would be good or not but it sounds like a lot of fun to play. I've played it with my son before. I am not very good at throwing, but I am great at catching! I am pretty good at it! I'm better at throwing than I am at catching. My son doesn't care though as long as I'm playing with him. We love playing frisbee. Our dog thinks she is the world champion . . . but you have to throw directly to her. She isn't as good as she thinks, but she does have fun! I am definitely not good at throwing a Frisbee or flying disc! i know that i am neither good at throwing nor catching. i love to go play frisbee golf though. I was really good at it when I was a kid. I don't think id be very good at it but I'm willing to practice and learn. I am good at throwing a frisbee, but I am not good at catching. Ultimate Frisbee was the only sport I was good at as a kid! Love playing frisbee!! I can throw well, but catching is always a challenge. I can throw one pretty good. I think I'm pretty good at throwing and catching a frisbee. We love playing frisbee!! I haven't played for awhile. I used to be good. I think it is pretty easy. Yes my 12 year old is really good me on the other hand not so much. We love throwing frisbees. We throw them in our cul-de-sac and bounce them off the pavement. This looks interesting. I am sure we would be able to throw and catch these with practice. I'm good at throwing them but not so much catching them! I don't know about throwing or catching Frisbee's......but i am amazing at the diaper throw. If hitting the trash can was an Olympic sport, I'd be gold!!! I'm so-so at throwing/catching a Frisbee. Thanks for the giveaway! I love throwing frisbees and am very good at it! I am not very good at it but I love to try! I am great at catching. I'm not so good at throwing. I'm ok, but I think I could be much better. Im not good at it but my kids love playing. My husband is good at it. I am a little better at throwing them, but I am okay at catching as well.